While learning about the solar system (A is for Astronaut) we talked about how the planets revolve around the sun (and comets and asteroid belts too). 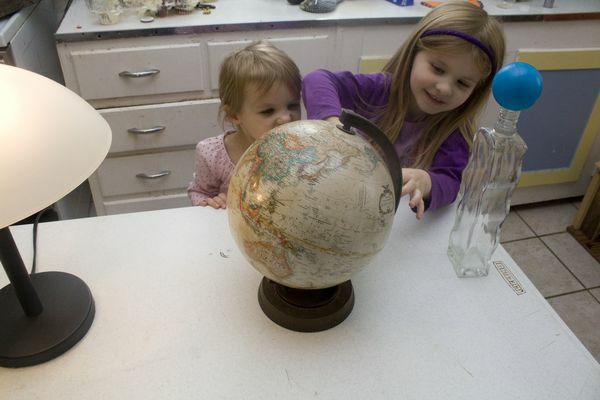 I tried to explain to the girls that the earth's revolution around the sun is what gives us seasons, and the earth's rotation is what gives us night and day. It's a hard concept to think about. I didn't feel like I explained it well at all. So a hands-on demonstration was in order. 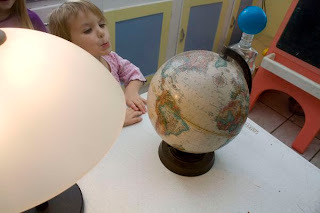 So looking at your supplies above, the light represents the sun, the globe represents the earth (so that one is obvious), and the ball represents the moon. I started our experiment with the moon and the sun on opposite sides of the earth. 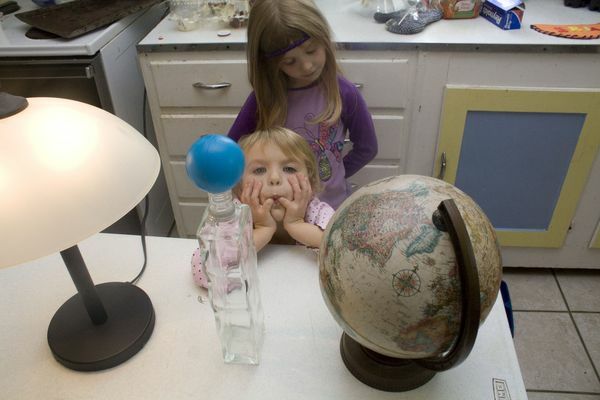 My girls immediately recognized the sun and earth, but they weren't sure what the small ball was. Since it was blue my oldest thought it was Neptune. They figured it out pretty quick and went on with the lesson. First, I had the girls locate our state, so we could use that for our discussion. 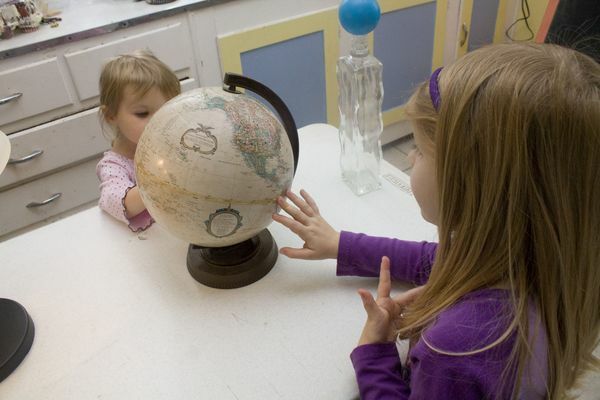 Then we talked about how the earth turns on its axis to make night and day. How when we face the sun it is the day because we have the light from the sun. And how when we turn away we don't see the sun, so it is dark (night). We do see the moon, and the girls thought the moon had its own light. So we also talked about how the moon is just reflecting the light of the sun which led us to a discussion of moon phases. 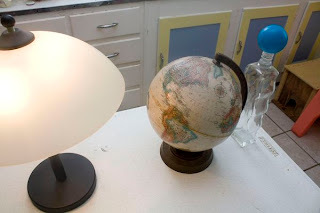 For the moon phases, we talked about how the moon circles the earth and depending on where it is relation to the earth and sun determines what type of moon we see. Full moon when the sun illuminates the entire surface of the moon. New moon when we see no illuminated surface because the moon is between the earth and the sun. Quarter moon when it is a 90-degree angle. 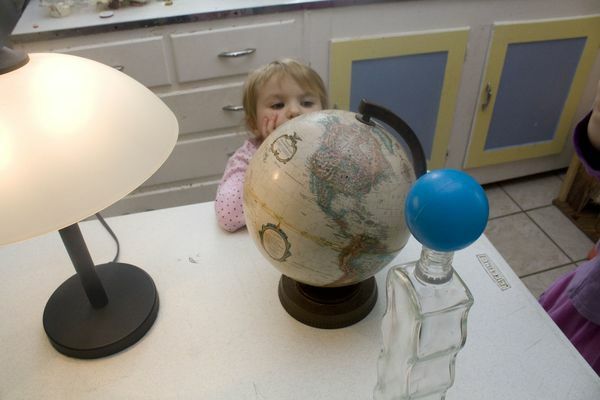 We did not dwell on moon phases because it was the first time we introduced them. 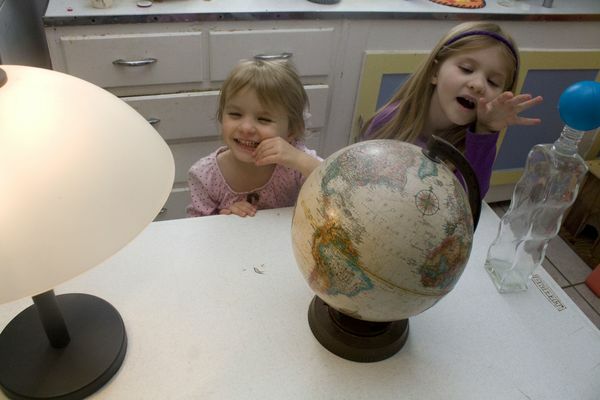 I really just wanted them to know that the moon circles the earth, is illuminated by the sun, and appears to change (but doesn't). Here is an awesome moon phase diagram I found to illustrate the concept further. Then we moved on to seasons. We started by observing that the earth is tilted and always stays tilted the same way while it travels around the sun. 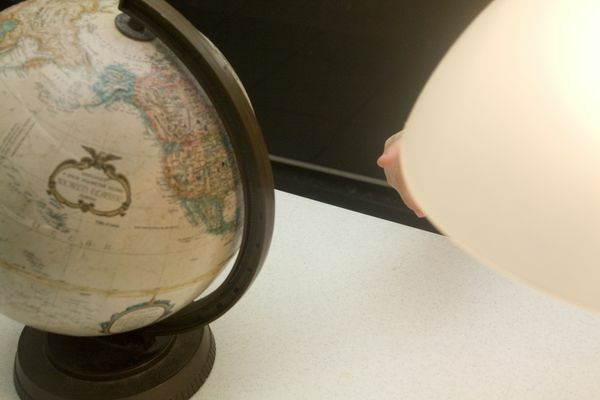 Looking at the earth's axis in relation to the sun made it easy to see how we have summer and winter. In the original position, we have winter as the sun is shining mainly on the southern hemisphere. we spent most of the time in winter for the demonstration. Move the earth to the opposite side of the sun, and you have summer. Now we are tilted towards the sun and receive more light. We went through spring and fall, but I was holding the globe off the table, so no pictures. 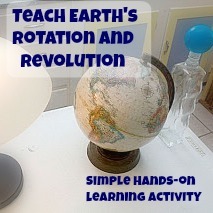 This was a lot of big concepts for little kids, to think we are spinning in space and moving around the sun at the same time while we appear to be standing still! I think they learned some of it though. 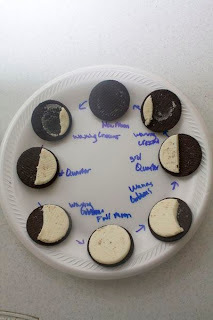 This is such a cute idea for moon phases, but I couldn't find instructions for cutting the oreos, so I tried cutting the tops of the Oreos. That was dumb, they just crumble. Then I realized you just unscrew them and cut the filling. Probably obvious to everyone else. Kids didn't care that they weren't perfect. They were over the moon about eating Oreos. Not sure what got into me with the pun. This hands-on activity really did seem to help the girls to cement their understanding of how the earth moves in space to cause day and night and our seasons. Plus we got to introduce moon phases and eat Oreos! This same setup could be used to discuss eclipses at a later date; we have also have instructions to make a Pinhole Camera for Safe Solar Eclipse Viewing!